With the advent of modern technology, more and more young minds are pursuing alternative versions of art. What was once paint on canvas is now digital art to be imported into a fictional world. With the steady rise of video games and animated movies in popularity, there’s no doubt that the animation industry will continue to soar in the coming years. But how do you get involved in such a fast-paced industry? 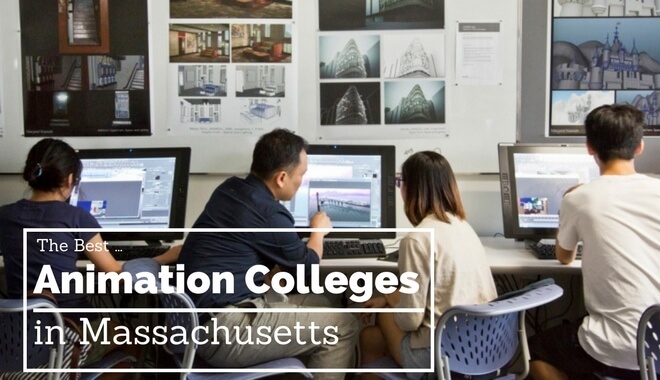 Check out these top schools with animation related degrees in Massachusetts, and see which one is for you. Hampshire College is a member of the Five College consortium, and they allow their students more flexibility in their courses than other colleges, with the freedom to design their own programs. Students may mix and match their courses from other programs, fulfilling a learning experience that they believe will most add value to their lives. This distinctive approach was created from a department filled with personal experience from professional studio artists and animators. Students in Animation and Digital Art can expect to choose classes from a list including sequential imagery, pixel bending, digital photography, data structures, media production, and electronic media. The Department of Art at the University of Massachusetts at Amherst is proud to offer a traditional course in fine arts and animation that is grounded in the finer academics of the industry. They tailor their course to demand critical thinking and understanding in both artistic creativity and technology, honing students who are capable of beginning their careers right away in the film, video, and game animation industry. Students concentration in Animation can expect to discuss computer animation, digital media, visual culture, and animation fundamentals. As students may expect, they will begin their first year in the Bachelor of Fine Arts program at Montserrat College of Art understanding the foundational coursework, which will include lessons on digital media, studio, drawing color theory, art history, and 2D and 3D design. After displaying competency and understanding in these fields, Animation and Interactive Media majors will then move onto their core classes, including web authoring, audio and video media, 3D modeling, life drawing, interactive design, and animation. Students will be required to create a final portfolio to be exhibited in their senior year, to truly display the skills they have learned over the program. Lesley University affiliated with the Art Institute of Boston in 1998, and the university offers students a traditional Bachelor of Fine Arts course alongside a Masters course and a two-year certificate program for advanced learning. Students undergoing the Bachelor of Fine Arts are required to complete the foundational courses, which include color and composition, visual thinking, drawing, art history, and more. Those specializing in Animation will continue their education developing skills and understanding of software that will enable them to succeed in the animation industry. These classes include visual communications, design systems, photography, the business aspects of animation, Maya, traditional animation, computer animation, illustration, and figure drawing. What makes the Digital Art and Game Design experience at Northeastern University in Boston unique is that it offers a specialized “combined majors” program, which falls under their Creative Industries initiative. This program enables students to further enrich their education by choosing the courses that fit for them and their preferred skillsets. Students can mix and match classes from different concentrations, including computer science, game design, graphic design, digital art, and interactive media. Or, if the student wishes for a more traditional approach, they may opt to take the regular Graphic Design or Digital Art program, where they will study 2D, 3D, and 4D design, as well as the fundamentals of art and design. For students in the Visual Design program offered at the University of Massachusetts at Dartmouth, they can expect to spend their first year studying the foundational courses of visual design and art. These courses would include visual drawing, life drawing, 3D concepts and 3D workshop, 2D design and workshop, drawing, and a final visual arts colloquium. Students who choose to concentrate in Digital Media will then proceed to classes based on interface design, photography, virtual reality, 3D modeling, 2D animation, storyboarding, and digital imaging. Digital Media students will find themselves readily equipped to handle the demands of the Animation industry. The Animation program offered by Mount Ida College is unique in that it is not centered around the art aspects of animation, but the more technical and technological qualities behind it, thus rendering it a Bachelor of Science degree. After completing the Art Foundational core coursework, students in this program can expect to learn all about 2D and 3D design, color theory, art history, drawing, and figure drawing. 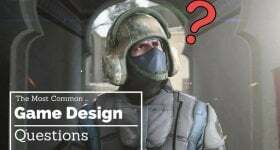 More advanced courses will then include concept and level design, special effects animation principles, 3D animation, game history, game development, and concept art. 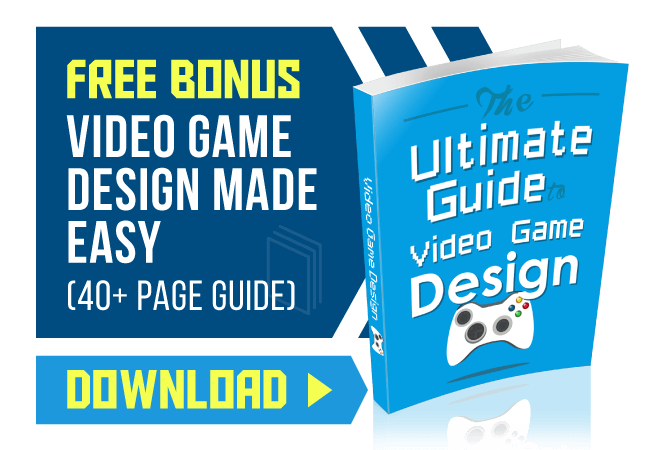 This program leans more towards game animation rather than film or video animation, and can be immensely valuable for artists looking to move into the game industry professionally. Aside from having skill and passion, it’s crucial to find the animation degree that’s perfect for you so you can develop the right skills you need to become a better animator. Found what you’re looking for? Choose wisely!